NEW YORK • You do not have to lose it and fly into a rage when you discover that an airline has lost your luggage. Take the case of Mr Dan Collins. After Delta Air Lines misplaced his bags on a recent flight to Hawaii, he did not know what to expect, as is the case with most travellers. Two of his checked bags vanished during a multi-connection trip that originated in Baltimore. And when they did not show up at the luggage carousel in Hawaii, he felt like he had jumped on a figurative merry-go-round of his own. "We had to submit separate reports - one for my wife, one for myself - detailing what each bag looked like and whether each had some form of identification," said Mr Collins who works for a hospital in Baltimore. "We couldn't get a definite answer as to if and when the bags would be delivered or what would happen if they were never found." More bags are lost than airlines are willing to admit. When luggage disappears, passengers are often pulled into a baffling world of forms, phone lines with pre-recorded messages and endless waits. But you have more rights than you might realise when your bags disappear and there are long-term solutions to this irritating aspect of air travel. Mr Collins waited for his missing bags. And waited. Finally, he called Delta out on social media and connected with a customer-service representative who helped him track down the bags three days after they had gone missing. Eventually, the airline gave him a cheque for US$230 (S$300), the amount of money he and his wife had to spend on clothes and toiletries. "It was a big hassle," he said. There is some good news, though, for passengers who are worried about being caught in a similar scenario. The major domestic airlines in the United States are upgrading their systems to prevent losses, adding tracking technologies that automatically notify customer when a bag does not make a flight. 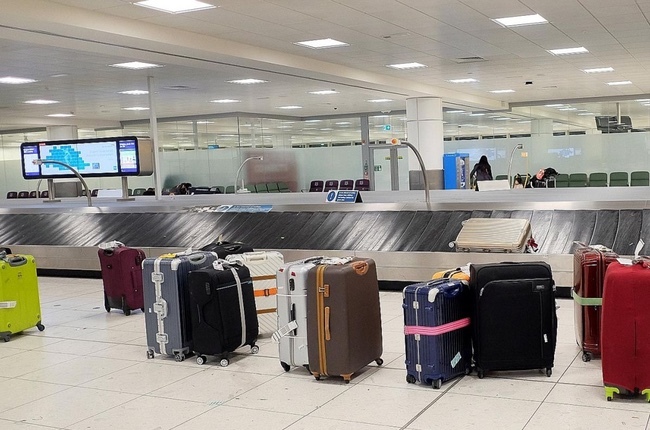 Not only are the lost luggage categories a little confusing, but when bags are delayed, they may not get reported to the Department of Transportation, which means the airline's lost-luggage numbers look lower than they actually are. Consumer advocates are pressuring the Department of Transportation to fix this loophole. Even if the agency does close the loophole, it will be hard to tell which airlines are likely to lose your luggage and which are likely to take it on a lengthy detour. That is because the department, which requires airlines to report their numbers monthly, does not distinguish between lost, stolen and delayed luggage. Rather, it makes the airlines report a single number for "mishandled" luggage, a category that includes lost, pilfered, damaged and delayed baggage. Add the fuzziness of the numbers from the new automated systems and it is really difficult to know how responsible - or irresponsible - an airline will be once you entrust it with your property. You have rights when a bag goes missing, which is something few passengers seem to understand. If you are flying domestically in the US, your airline's liability under the Department of Transportation regulations is US$3,500 a passenger. But to collect, you will need to fill out two forms, including an initial lost-luggage one and a second claim in which you show proof of your loss. The claim process can take weeks - often longer. Airlines typically wait several weeks to be sure your bag is actually lost. For international flights, the claim procedure is virtually identical, but your rights are governed by a treaty called the Montreal Convention. Your airline-liability limit is roughly US$1,600. There are also standard procedures that most airlines follow. For example, if your checked or carry-on bags are damaged while in the care of airline personnel, the carrier is generally responsible for repairing, replacing or compensating you, at its discretion, according to AirHelp, a company that helps passengers with claims. "If your luggage doesn't show up on time at your destination, the airline is responsible for providing you with up-to-date information on where your bags are," said Mr Henrik Zillmer, founder and chief executive of AirHelp. "In the meantime, if you need to replace essential items that were in your bags, from toiletries to a suit for an event, the airline should reimburse you for those costs as well." As always, a good travel agent can help you recover a lost bag. Agents often have insider airline contacts or baggage-claim numbers that may not be publicly listed. But so can some common-sense precautions, like labelling your bags or just packing light and carrying them on board. Buying insurance is also an option. You can also review the few consumer rights you have on the Department of Transportation's new Fly Rights brochure. AirHelp can assist in certain circumstances, such as when your flight is delayed and you are entitled to compensation. The firm is also considering adding a lost-luggage service. Another fix: A new company called Blue Ribbon Bags offers a delayed-baggage service that costs US$5 a passenger. If an airline loses your luggage, the service will help locate and expedite delivery of the checked bag. If it is lost for more than 96 hours, it will pay US$1,000 a bag.